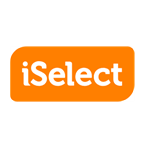 iSelect have maintained a good balance between their offshore and onshore contact centre, with key changes over the last year to expand operations in Melbourne and encourage growth within its Australian operations. Not only have they planned to move its service centre operations and data science centre in Victoria, but they have reduced offshore numbers by 60% and increased their Melbourne size by 13%. This session will explore iSelect’s insights and journey in two parts, and explore the successful balance of customer service, brand management and talent between offshore and onshore centres. Check out the incredible speaker line-up to see who will be joining Henriette.